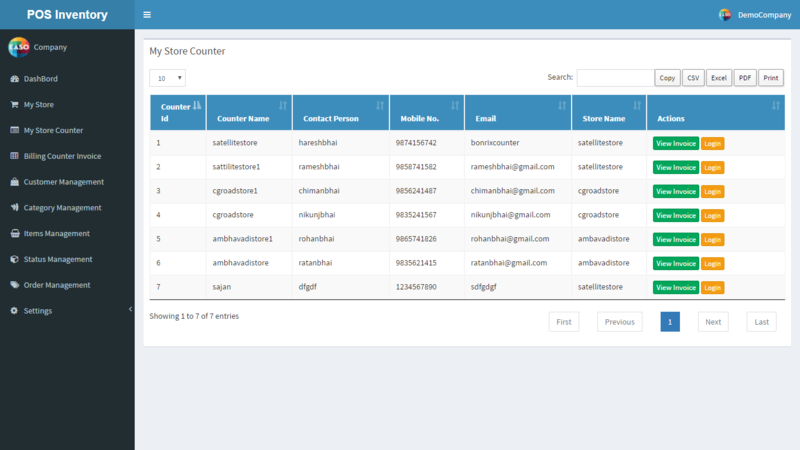 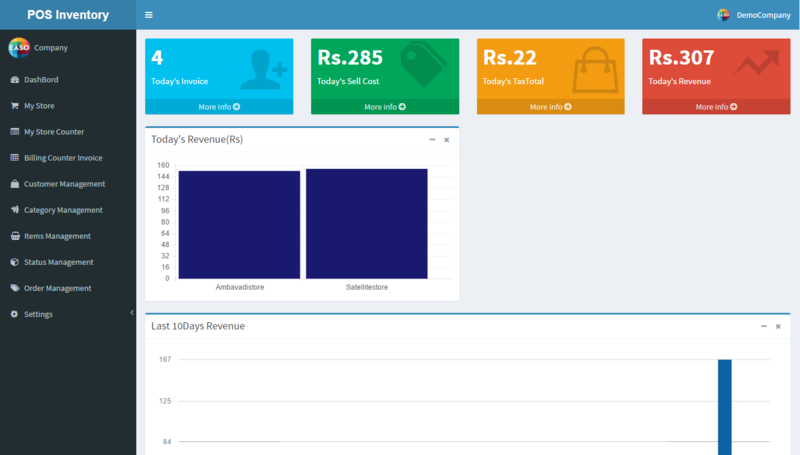 Dashboard :- Its gives real time data of today’s invoice, sell cost, Tax Total, Revenue in numbered form .It provide graphical representation of Today’s sale revenue store wise . 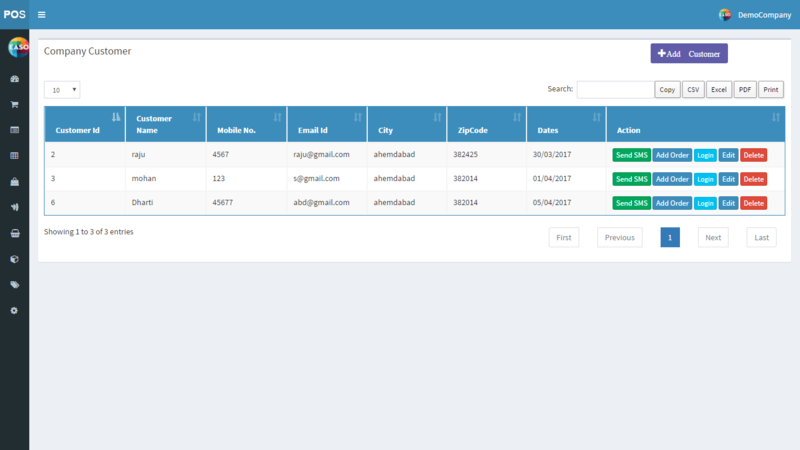 Category Management:-In this person can Add, Update, Edit and delete any category of our company . 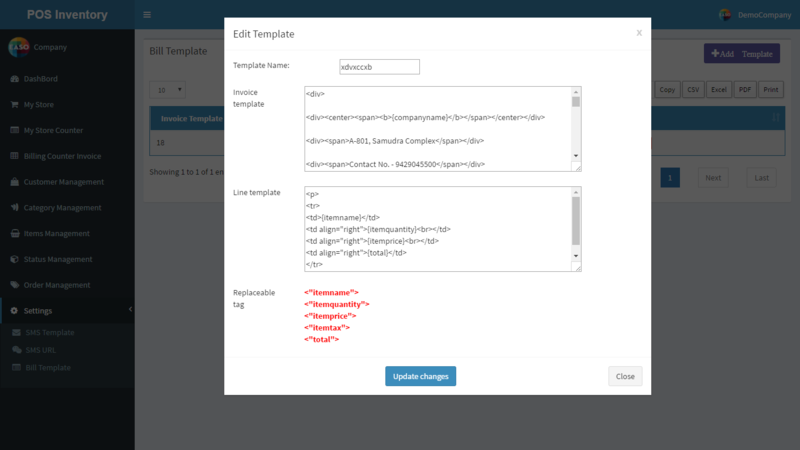 It also comes with image upload facility. 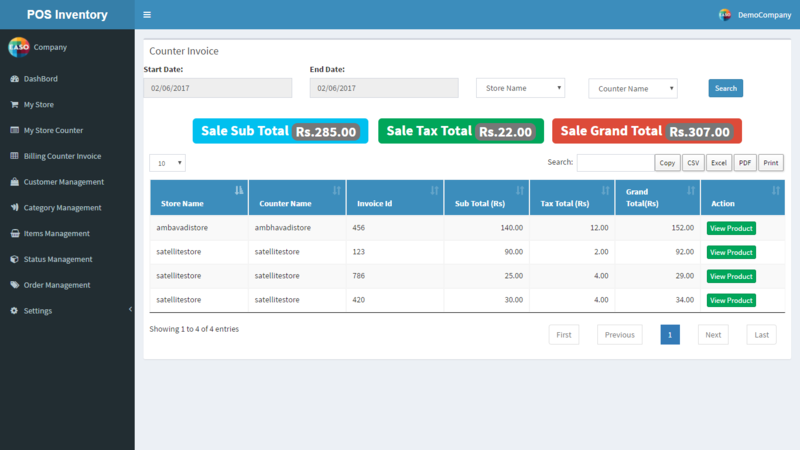 Items Management: –It comes with Adding Items to respective category of items with image upload facility. 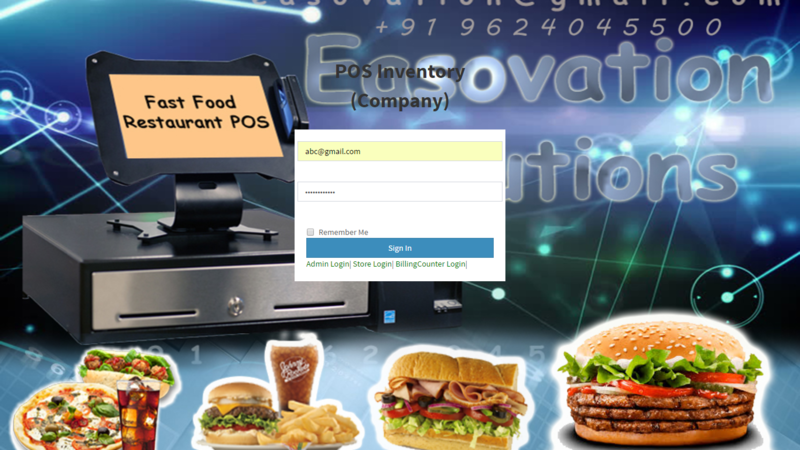 Status Management:-In this We can Add Any Status for order made by customer through android app. 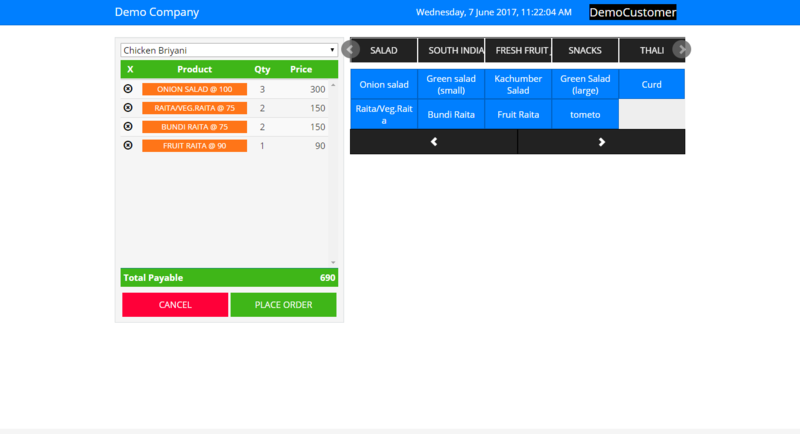 Order Management:-It provides detail information of order made by any customer through android app or order screen.